I have been a Stay at Home mom for almost 10 years. I started with Hulafrog because I wanted to be able to provide parents with a great resource for things to do with their kids in our area. It’s been a great way for me to help parents create memories with their children and at the same time create memories with mine. I also run a design business, One Boy One Girl Designs, from home. I was in advertising for many years and love to create for other people. My husband bought me my first machine and once I started, I went feet first. I am on almost year 3 of running Hulafrog and One Boy One Girl Designs for 2 years. My short- and long-term goals with Hulafrog is to grow my subscribers and make it the go to place for parents and businesses alike to use for their resources for all things kids! My short-term goal with One Boy One Girl is to grow my business to outside of friends and family. My long-term goal is to be able to pay for a vacation with the money I earn from it. I would love for the people of Tracy to know that Hulafrog is a great resource for you to use not just for all the events I have on my calendar but for the kid friendly businesses that they can find there. 500 E. 10 Street Tracy, CA. WINDMILL RIDGE WINERY A Gem in Tracy's Own Backyard holds a lot of events and I think that one way to support the winery would be when you have city events, for example-The Wine Stroll or Girls Night Out...Supporting would be carrying our wines, or pouring our wines versus getting them from (I'm not quite sure how they do it exactly-other wineries or a broker or however the association does it). The other thing would be just spreading the word about having a winery. I think one of our biggest challenges til this day has been that still people don't even know that we have a winery here in Tracy. And, it's hard because of course, how can you market and say 'yeah, we have one great winery in Tracy' and people are kind of looking like, "One?" It's a big question mark. The truth is there is only one. But, I think for the city...the city holds event and I think just getting the word out there, spreading that we are back here, supporting us by buying the wine. We've worked with the city in the past. For us, it's a pleasure, it's an honor. It's a wine that we put a lot of hard work into, a lot of love into. Someone buying our product, it's an honor and for the city to do that, especially if it's a large event. We've always worked with the city. We have always said , don't worry, we will give it to you at a discount rate-we try to do as much as we can. But, I think, sometimes it comes down to, just when they need it and I think that's where we fall off the wagon and people tend to forget." we really are the only winery back there. We prioritize based on the organization, what they are going to be giving, and how they are going to be supporting the community. Patriots Supporting Warriors is very dear to me because the person that has put it together (Lisa Poff) has gone through the ins and outs of putting it together. She's been very dear to me because she's brought an organization that started from nowhere to where it's at now. So, thats's one of the reasons I enjoy helping her-because she pushes and pushes and pushes and is constantly seeing who else needs help." Windmill does support other causes including those related to academics, schooling, education and more. "Very little do we outsource outside of Tracy because Tracy has gotten so big that we can barely keep up with the donations in Tracy. But, there's the Grand Theater we support once a year, the Epilepsy Foundation, sometimes we do the high schools to raise money for academics and sports. The best we can do from the top is-how much money are they are trying to raise? How many people are they going to be helping and what is it going towards? And that's how we figure what they are going to need. Can we donate the venue? Can we donate wine? Every little bit helps...We try to do the best we can do-whatever we can do to help, that's pretty much where we're at." For those of us tuned into the world of beauty, home and fashion, Hector John Cosmetics is one of several absolutely gorgeous must-see boutiques who call Downtown Tracy home. Each boutique has its very own vibe, beckoning the attention of all passerbys. If trending fashion is your thing-it truly takes willpower not to spend every last dime in your pocket when strolling down Tenth Street. Hector John Cardoza, owner of the beautiful and Hollywoodesque boutique not only keeps his customers in style with the latest beauty, fashion and accessories, his boutique also carries unique home goods that keep our homes looking fresh each season. The young business owner has an amazing eye for all things beautiful and it’s no wonder-before becoming a business owner, Cardoza was a business manager for high-end beauty brands such as Dior, Lancome, and Chanel. Cardoza lived in Beverly Hills for four years, where he attended FIDM (Fashion Institute of Design and Merchandising) and studied product development. Cardoza worked as a celebrity make-up artist and while in Beverly Hills, began designing his own product line Hector John Cosmetics, which is very popular here locally. Cardoza stated that they are currently in the process of transitioning the brand to fully online and by Summer, they expect to launch worldwide. “That is going to limit our intake for the store. Most of the line will only be available for purchase online. We’re just going more technology, as the rest of the world is doing that.” Cardoza explained that transition means redesigning what is carried in the current brick and mortar store. “We are currently leaning more towards something to do with the children. Something more interactive with the kids. While it remains to be seen exactly which direction the boutique will go, we can tell you for sure what to look for on your next visit to Hector John Cosmetics. Check out his Spring musthaves ! For the home-green gives a very clean look and pops anywhere you put it. It pops against white. It pops against beige. Green just automatically gives a nice spring Spring look…green plants, a green dish..The gorgeous green dishes we have in our store are imported from Portugal. The kids have really loved our toy section We love that our customers can come in and find something for themselves and something for the kids and everyone leaves happy. Tracy Latin Athletic Club (TLAC) started in 1972 and it's primary mission is to promote education and be a resource in the community. TLAC President, Eva Villialovos is one of three generations of her family members who have served on TLAC's Board of Directors (both her father and son have served as President). Villalovos is the first female to head the organization as it's President. "We've helped many causes in our community and we kind of help out where we are needed but the primary goal is to make sure that all four high schools have scholarships. We are the first organization to start a scholarship program and I believe we are the longest hispanic non-profit in Tracy." experiences sexual assault. ETT reached out to Chest of Hope and spoke with Director of Development, Felicia Medrano. Medrano shared how Chest of Hope uses events to raises awareness about sexual assault and other abuses. One such event is Chest of Hope’s Annual Salad Luncheon and Conference. This year’s conference addresses the effects of intimate partner abuse in our everyday lives. This year’s Keynote Speaker is Best-Selling Author and Sexual Assault Survivor, Kimleigh Smith. Medrano has been working with Chest of Hope’s Founder, Merlyn Pittman and the Chest of Hope organization for three years and is looking forward to helping more victims stating, “Community members can help by attending our events-such as the Annual Love Walk and Run 5k, the Salad Luncheon or by volunteering with us.” The organization recently opened Treasure Chest Thrift Store where proceeds are used to help victims of abuse. Medrano explained that shopping and donating items to the store is also another way to support the efforts of the organization. 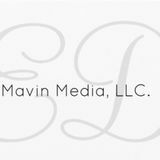 MERLYN PITTMAN Founder of Chest of Hope, a 5 0 1 C ( 3 ) N o n - P r o fi t Organization, assisting victims of domestic violence. 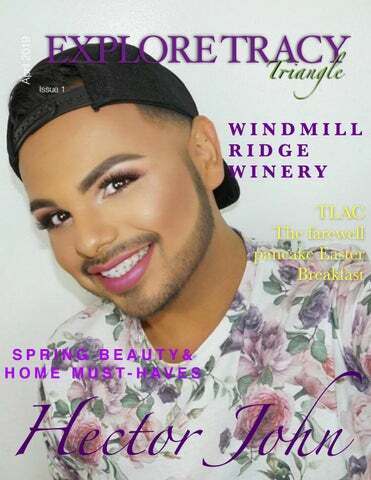 A lifestyle magazine centered around the beautiful city of Tracy, CA.